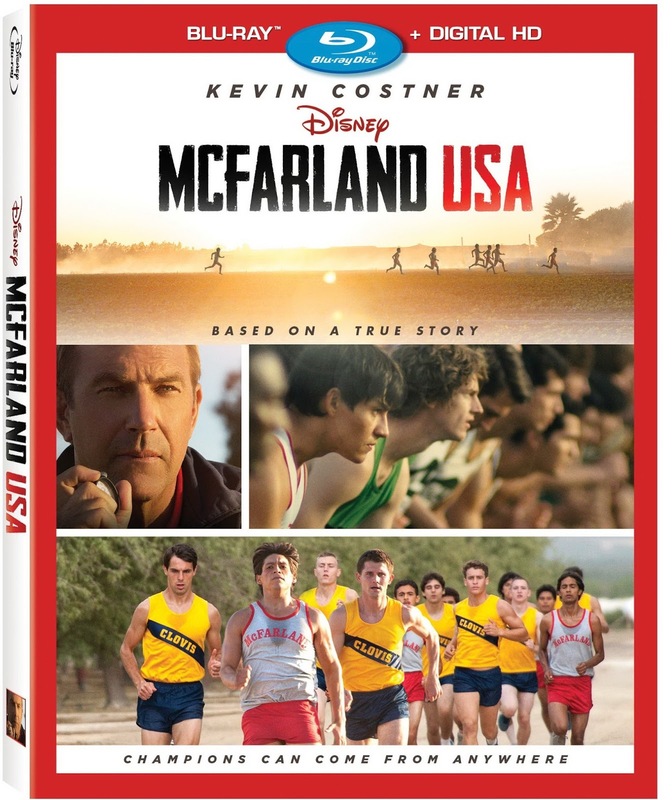 I ran track in high school (and still love to run) so when I had the chance to receive McFarland USA it really hit home for me and I couldn't wait to watch it. Since it is a true story I knew it would be fantastic right away. We absolutely loved the movie. It was a very inspirational story and was filmed very well. Kevin Costner definitely doesn't disappoint in this film. Well, He never does, but definitely doesn't in this movie. McFarland USA is a movie to see! My daughter is 8 and she enjoyed the movie as well. It's rated PG so great for children and adults alike. Overall: *****/5 Can't wait to watch it again. This is something I hope to see soon! This movie looks like a very good one, I have not seen it yet, and I really like Kevin Costner in movies-he is such a good actor and this looks like a good family movie!